We were recently featured in an article, Take a Trip Back in Time with Photobooth Planet. If you’re interested in Vermont Real Estate, check out what they have to offer for Burlington, VT Homes for Sale. Our new one-of-a-kind Bellows Style Open Air PhotoBooth! 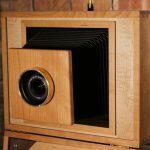 This Bellows-Style Booth looks like the vintage-style camera with an accordion front. 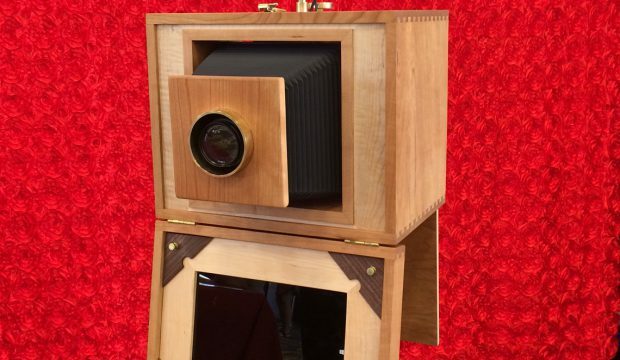 It’ll feel like you and your guests are experiencing an old time photo shoot while in this classic photobooth. Fashioned after the old cameras from a century ago, these hand-made booths are intricately put together to help you and your guests blast back in time as if you were at your great-grandparents’ wedding. Guests look into the computer tablet below at their poses and smile at the camera lens while the beauty dish flashes to capture their bonding moments together. Just several seconds later, a printed photostrip is offered to them so they will always remember their evening together. 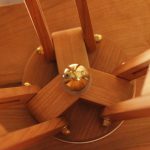 This booth boasts Vermont-handcrafted artisanship of cherry, maple and walnut wood, telescoping bellows, solid brass accents and hand-rubbed Danish Oil finish all in a sleek, compact design. Absolutely gorgeous! It smells nice, too! Just like with our unique VW PhotoBus and Classic Booth, we are in the business to help you have a unique and memorable wedding or event without skimping on excellence or elegance. Contact us today to reserve one for your special event. Ruby is missed in the Green Mountains, but she is making a splash now in the White Mountains with PhotoBooth Planet New Hampshire. Scarlet, the red & white PhotoBus is now making friends with the Vermonters! Let’s face it, the PhotoBooth craze is on! Everyone loves gathering with friends and family to take goofy, sentimental and just all out crazy photos. So, many different wedding professionals are also creating their own booths, as an “add-on”. 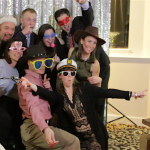 We, at PhotoBooth Planet, have photo booth rentals as our specialty and as our only thing, so we know how to deliver the best possible experience, with our Classic Booths and our VW Photobuses (in New England). If a photographer is offering a booth to bundle in to a photography package, the price may seem pleasing, but will it be for you and your guests once the great day of your wedding or event arrives? Is it enclosed? When your guests close the curtain, that’s when they let loose and have fun. 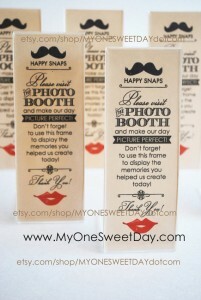 Does the photographer’s booth print the photostrips on the spot and do they create a guest book for you? 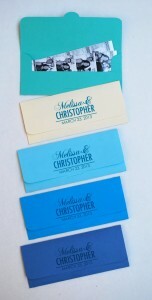 Your guests will want the immediate gratification, and you’ll want a copy of each in a custom guest book. 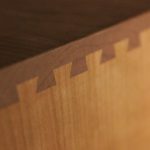 If they print out the strips, can you see samples so you know they are quality? I know of several photographers who mean well to set up booths, but the experience and quality just isn’t there because it’s just their “add-on”. How will the “booth” look in the grand scheme of what you’re hoping for in your wedding? Will it look like a studio photoshoot (ie. 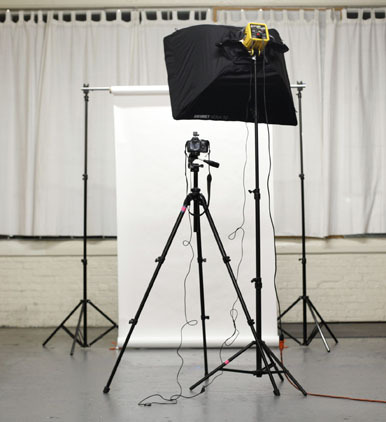 tripod and backdrop with lights)? Imagine it in the big picture. Does the photographer have someone giving full attention to the booth, in case anything goes wrong? You don’t want any downtime while people are “in the mood”. Does your photographer have photos of their photobooth that you can see? It’s crucial to know exactly what you’re getting. 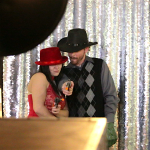 What will your guests experience and what will they say after the wedding about their time in the photobooth? This is the most important day for you and your family, and you want them to have great memories of it. At Photobooth Planet, we always find that people experience emotional bonding moments in our booths, whether at weddings, parties or events. In this music video, Jessie Ware takes her song “You & I (Forever)” and uses a vintage photobooth to illustrate friends, lovers, family, etc. bonding together while taking timeless photos. Technology changes, yet relationships will be forever. 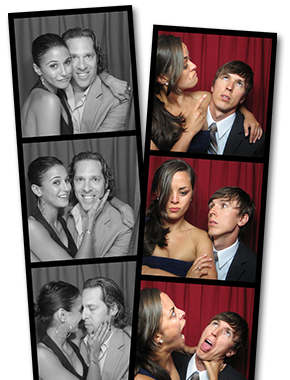 Photo booths bring both together – and prints the moments on photostrips to cherish for many years to come. This is AMAZING! I’m crying! Check out this kid who took full advantage of our Classic Booth at a recent wedding. Kids love photobooths and often are the ones who kick off the evening, flashing grins, grimaces, tongues, squints, props and crazy expressions. Soon, they start pulling the older generations into the booth, and then the adults take over – posing, cramming with friends, displaying facial contortions and laughing through the night. The inter-generational photos in the booth become treasures to keep for years to come. It doesn’t matter how old one is; all ages enjoy a good session in the photo booth! Here at Photobooth Planet Vermont we are always committed to serving our local community. Throughout our past four years of operation we have volunteered our time and photo booths/buses to help out local organizations and causes in the Burlington area. Some of these include: Relay For Life, Jeudevine Falls Weddings, MOPS @ Essex Alliance Church, beCause Craft Show, Celebrate Recovery and Burlington Moms Blog. This past weekend we were able to do it again by helping out one of our favorite organizations, Champlain Valley Office of Economic Opportunity. CVOEO provides individuals and families with the basic needs of food, fuel and housing support in times of crisis, and also assists them in getting the necessary education, financial skills and assets to build a stable future. We had a blast out on the Church Street Marketplace with our newest VW photo bus, Scarlet. People were able to come by both Saturday & Sunday to take “60’s Selfies” which were completely free with a suggested donation to CVOEO. The event was such a hit Scarlet even made it on two local TV stations, WCAX and ABC22. Maybe her new nickname should be Scarlet the famous photo bus? Check out some pictures below to see how much fun we had at the event! P.S. We will also be doing the Salute to Our Soldiers wedding giveaway next month at Boyden Farm, so stay tuned! Vermont has a new VW PhotoBus! She’s a beautifully restored 1966 Volkswagen Bus that is making a splash around Vermont. She’s the coolest things on the roads of the Green Mountain State. 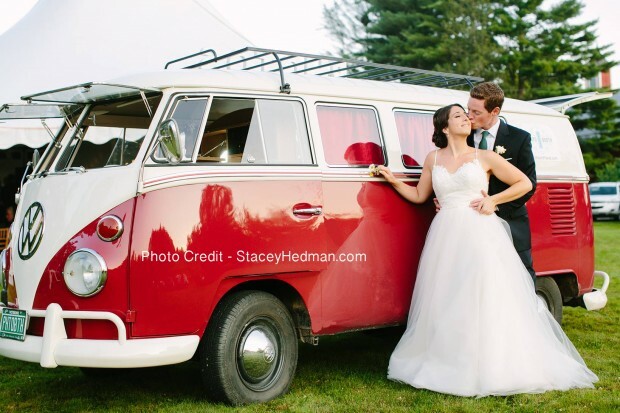 The picture here is from a gorgeous wedding at the 1824 House in Waitsfield, VT, and the photo was taken by Stacey Hedman. The guests had fun all night long climbing in the back of this groovy machine, taking photo after photo with the custom photobooth. Everyone loves closing the curtain and getting wild and free with smile after smile with their friends and family. 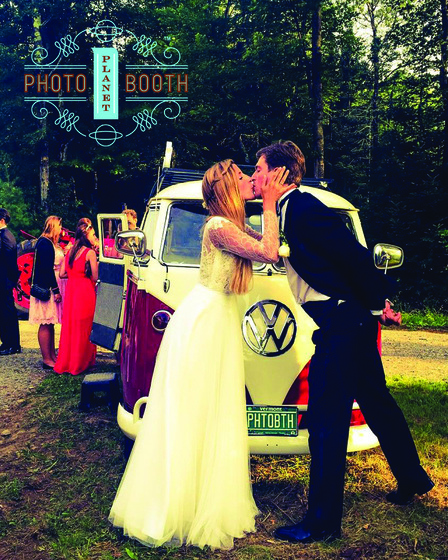 So you’ve booked Photobooth Planet Vermont, and are super excited for all your friends and family to get awesome photo strips at your event or wedding? However, there may be one thing missing. If you are still searching for that perfect wedding favor or a way for your guests to take their memories home at the end of the night, we’ve found this awesome Etsy store called My One Sweet Day. 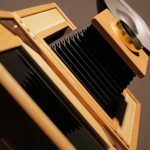 The business based out of Santa Ana, CA specializes in photo strip accessories. Check out their HUGE selection and personalize almost anything to fit all your wedding and event needs. Choose from customized photo strip envelopes, or even better a photo strip frame! 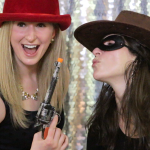 It’s a simple and cute solution for you and your guests to enjoy a night of Photobooth Planet VT fun and keep those memories for years to come.